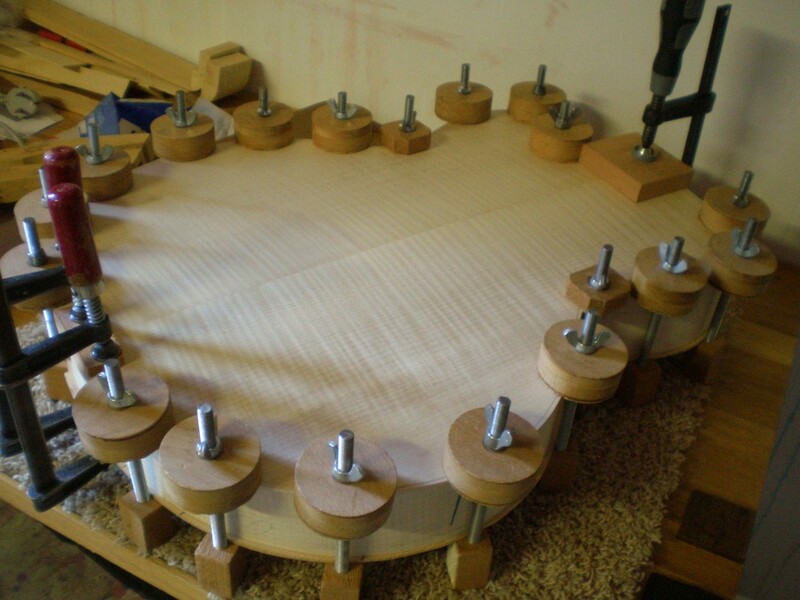 The top of The Dome has an induced arch, supported by bracing. 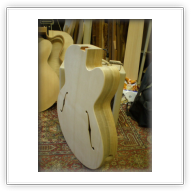 It is a true dome, arched lengthwise from the neck block to the tail block, as well as crosswise from one bout to the other. 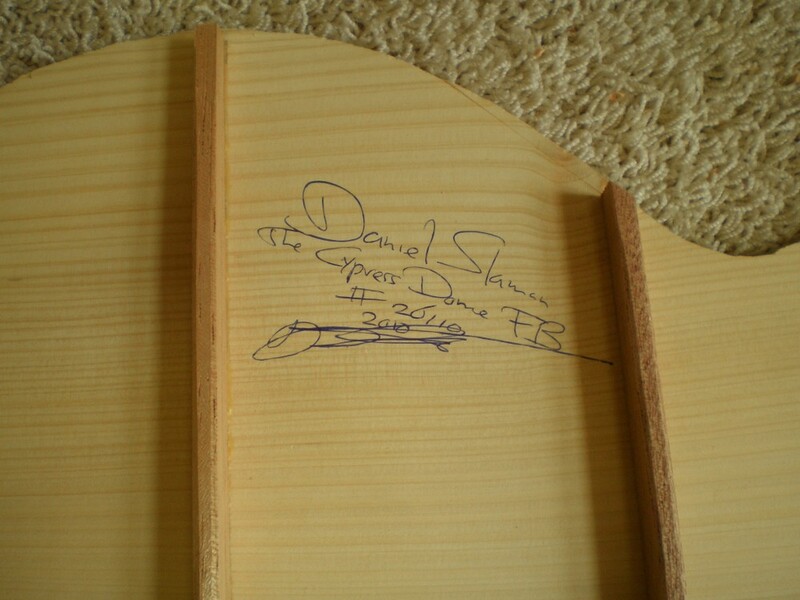 The bracing system has been developed and perfected by Daniel over several years. 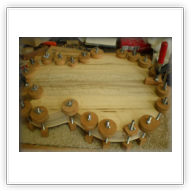 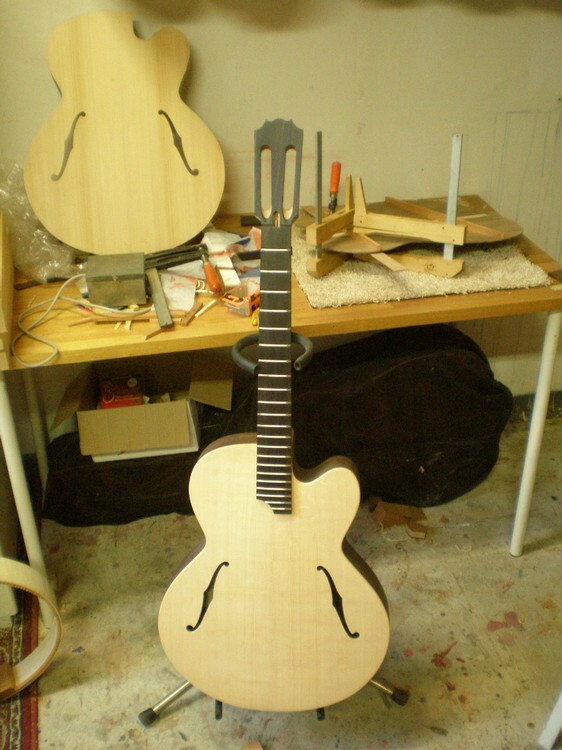 The layout of the braces is symmetrical and Daniel adjusts the size and thickness of the bracing according to the model and stiffness / tap tone of the top. 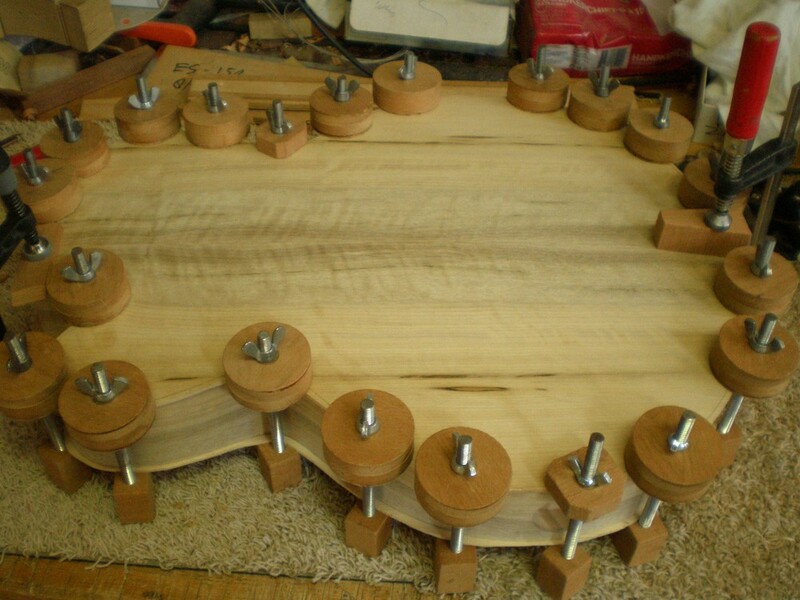 The sides are hand bent on a hot iron, the back is arched with 3 braces. 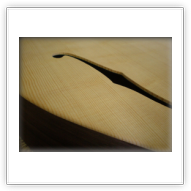 The neck has a 2-way adjustable truss rod; not to withstand the neck tension which is quite low with the nylon strings, but to enable the player to precisely and perfectly adjust the neck to his or her playing style. 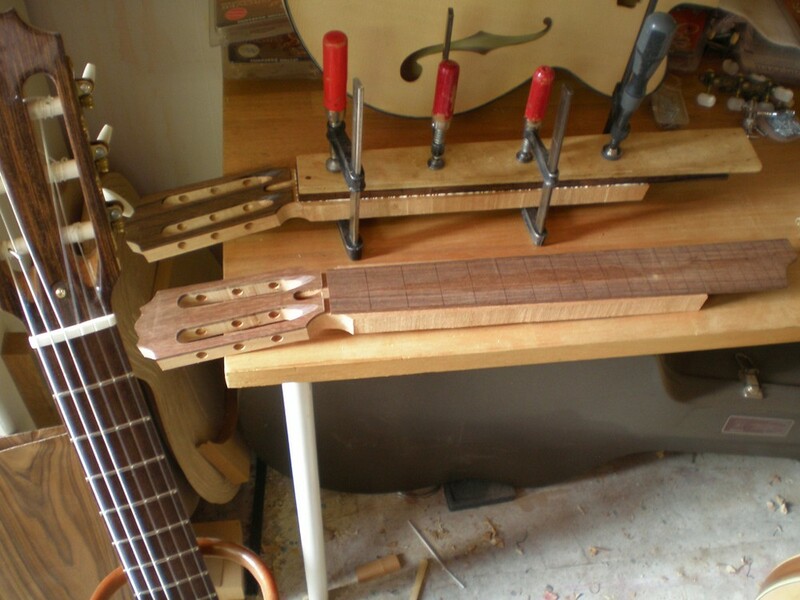 Frets are wide / medium high and will last a lifetime as the nylon strings are not hard wearing on them. 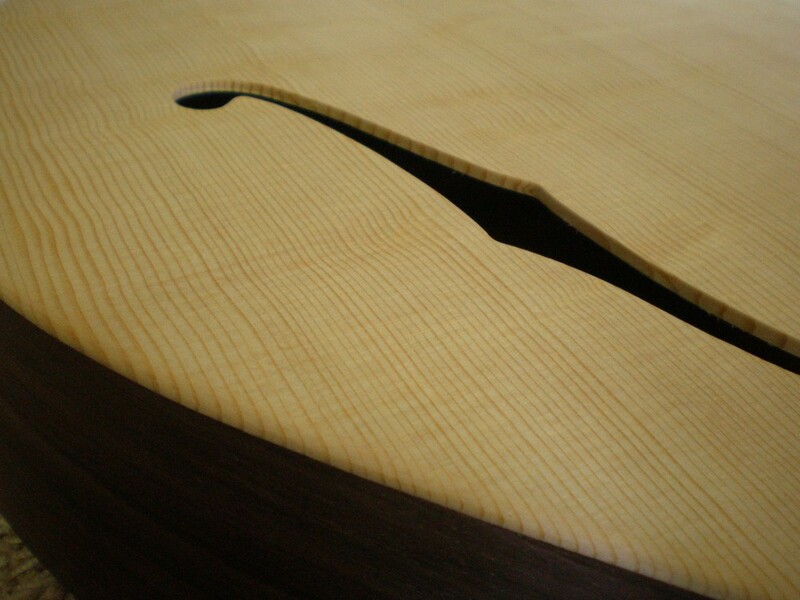 Scale length is 25,5 inch, fingerboard radius 12 inch. 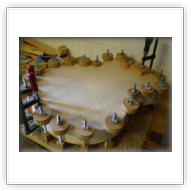 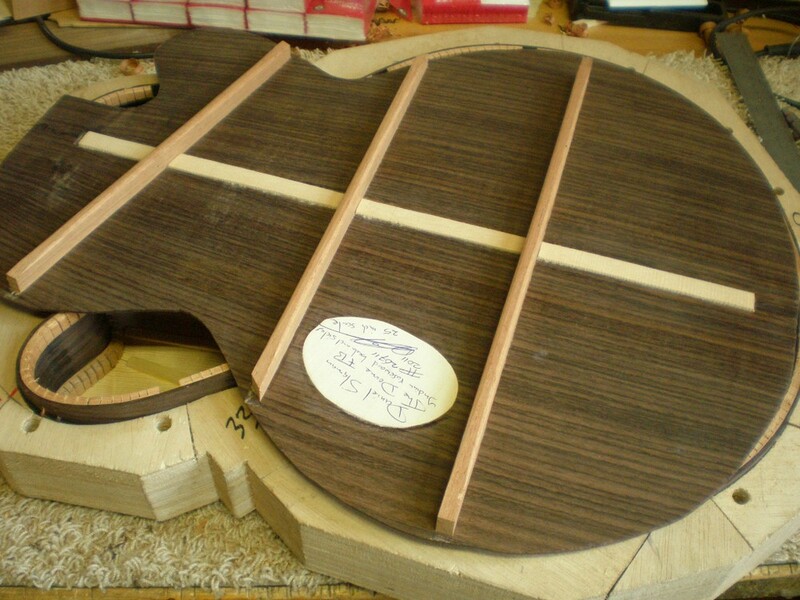 The nut measures 4,8 cm width and string spacing is 4.0 cm. 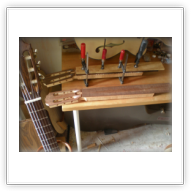 String spacing at the bridge is 5,5 cm. 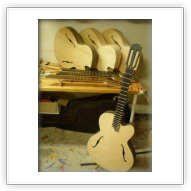 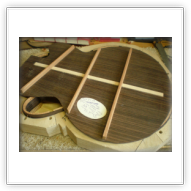 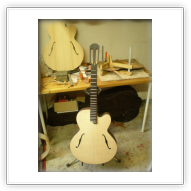 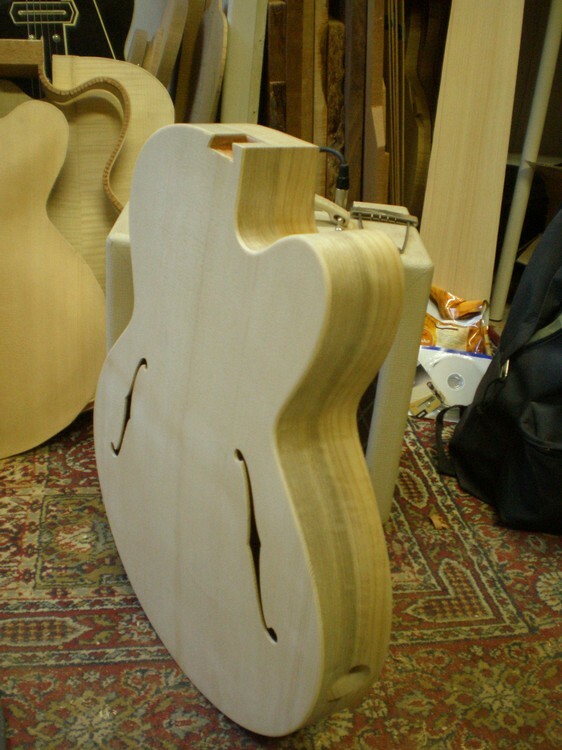 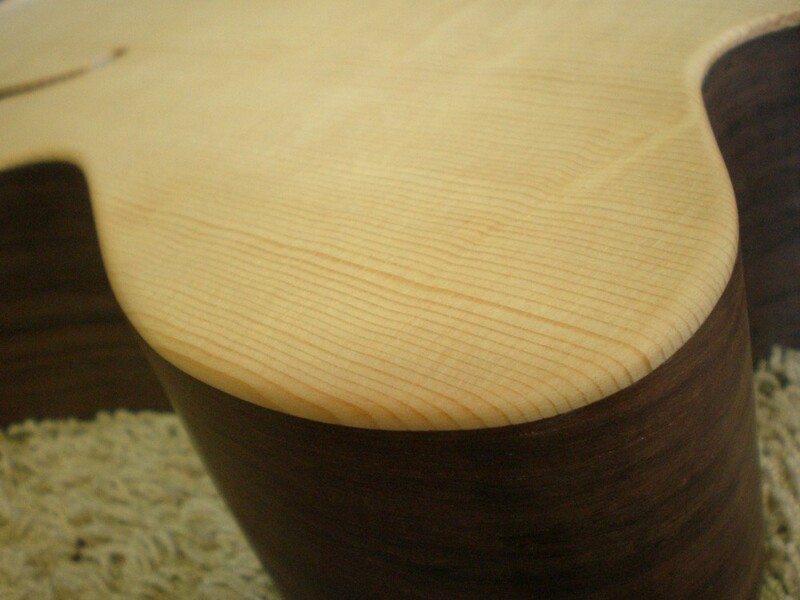 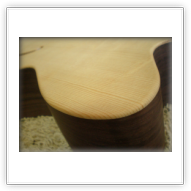 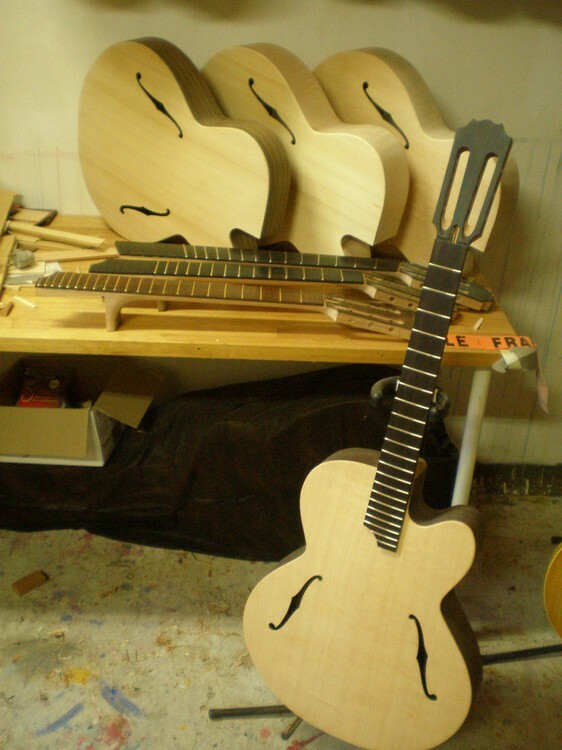 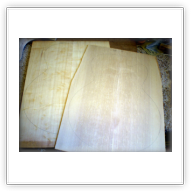 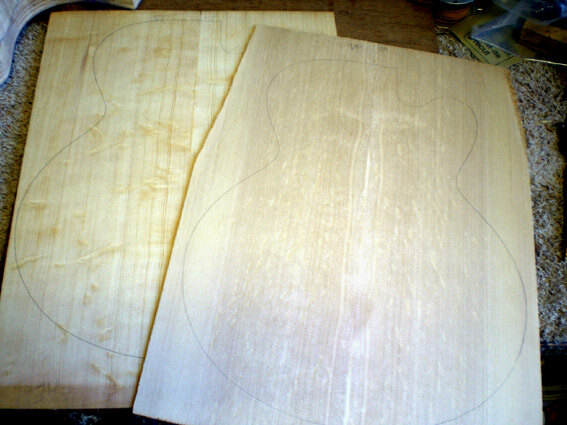 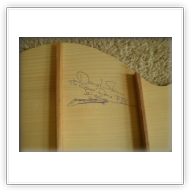 Body width is 16 inches at the lower bout, depth is 7 cm (almost 3 inches) at the deepest point, the waist tapering to 6 cm at the neck joint and base of the guitar.